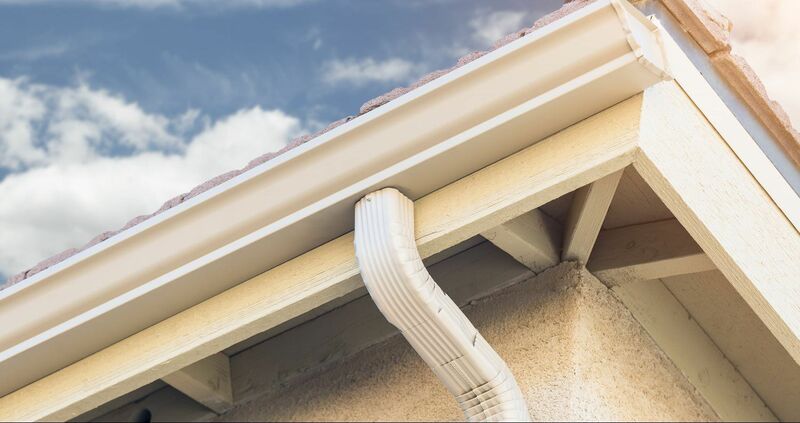 A clogged, leaky, or damaged gutter isn’t a problem you should take for granted. Neglected gutters can carry heavy debris, ice build-up, broken tree branches, and standing water. Sometimes, the debris and runaway rainwater could damage the angle of the gutter — a problem called the gutter’s “pitch.” The resulting overflow can cause significant and unsightly damage to your roof that may result in basement flooding, in fact. Your gutters play a huge role in keeping your household safe from flooding due to rainwater. So, save yourself from the additional expenses that come with a basement water damage restoration by seeking out our gutter repair services in Maryland. We have been providing gutter installations and repairs for almost twenty years, helping homeowners save thousands of dollars on home repairs. Our trained and experienced professionals only use durable and high-quality products in every project. Replacing damaged or split leaders. We take great pride in our work and offer our customers prompt, efficient services wth every call. In fact, we maintain a Golden Pledge Warranty that offers a 50-year material and 25-year workmanship warranty to ensure customers of our superior services. We are the best in the business of preventing debris accumulation and guaranteeing consistent water flow through gutters. Experience the difference of having a properly functioning gutter system. Our gutter repair services in Maryland are nothing short of excellent and completely professional. Get in touch with us today to request a free estimate.